Lots of uncertainty remains. 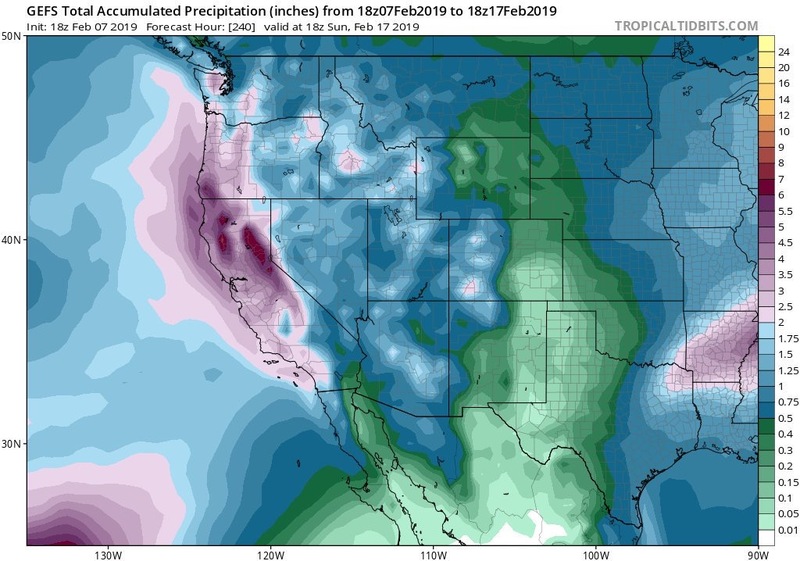 But potential appears to be growing for major warm rain event in California about a week from now. Recent model runs have started to hint at major flood potential given large snowpack. We should know more by Sunday (will have blog post then).